It is imperative that any organisation delivering public services takes the appropriate measures to ensure high standards of health and safety for its users. Doing so is integral to meeting compliance requirements, and is also foundational to building trust in its brand in the public eye. This is particularly true of the transport industry, which is relied on by millions every day and helps underpin the very function of the UK economy. In the UK, buses remain by far the most popular mode of public transport, with figures from the Department for Transport indicating that an estimated 4.4 billion passenger journeys were taken in 2017. Any health and safety breaches in their operation can seriously endanger the wellbeing of customers and result in significant repercussions for both operators and the wider British public. One of the most significant incidents occurred in October 2015, when a bus full of passengers crashed into a supermarket in Coventry, killing two and injuring many more. The resulting investigation revealed shortcomings in how the driver’s behaviour had been monitored in the period leading up to the incident. According to investigators, the driver had worked over 70 hours in the week preceding the crash and had received a number of warnings after four crashes in the previous three years. In September 2018, he was found guilty of causing death by dangerous driving. As stipulated in The Health and Safety Act 1974, the failure to heed the warnings flagged up by the vehicle’s telematics system constituted a fundamental breach of the bus operator’s obligation to protect both employees and passengers from risks to their health and safety. In response, legal experts have suggested that telematics and driver behaviour monitoring be made compulsory for public service fleets and HGVs, in accordance with new regulations allowing operators to be prosecuted for ignoring health and safety issues highlighted by these systems. Historically, advances in vehicle safety technology have focused on reducing the potential for injury to passengers in the event of a road traffic collision by modifying vehicles themselves. However, intelligent technologies now exist which can help prevent incidents from occurring in the first place. Mobile Resource Management (MRM) combines performance data from both vehicles and drivers, as well as insights from the wider road network around them, to help create a safer environment for operators and passengers alike. By monitoring time spent on the road versus time spent on breaks and providing managers with a near real-time overview of driver road-hours, MRM can help limit the potential for overworked drivers to cause accidents as a result of fatigue. Under UK law, drivers of Passenger-Carrying Vehicles (PCVs) must take a break of 30 minutes for every 5.5 hours of driving, and must not exceed ten hours of driving in one day. However, for drivers earning an hourly wage or willing to forgo breaks in order to finish their routes earlier, the temptation to break this rule can be alluring. 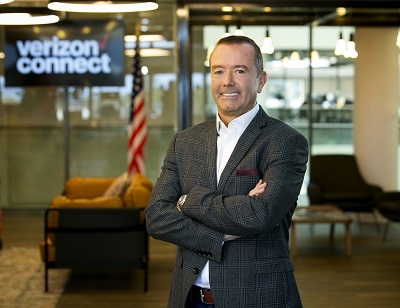 Some commercial operators, for example, are failing to catch drivers who are failing to take adequate breaks, with a study by Verizon Connect finding that a third of operations either don’t know or do not properly check driving times measured by tachograph. Having an MRM solution in place not only protects the health and safety of drivers and passengers, but also helps fleet operators with their compliance. Driver monitoring and telematics systems such as MRM are likely to become a staple of the public service vehicle landscape in the future. Not only because they encourage compliance, but also because they can help improve the safety of both drivers and vehicles. Through direct feedback on driver bad habits (such as harsh braking, rapid acceleration and rough cornering) MRM helps coach drivers on areas of improvement and help eliminate gaps in their knowledge of road safety. As a result, it can encourage a reduction in behaviours that put both passengers and other road users in danger. Such solutions also provide insights into the condition of vehicles, highlighting where they can be proactively repaired or upgraded to improve safety, and can also help inform routing and scheduling through analysis of road traffic data. The scale of the UK local bus industry, comprising 1.8 passenger journeys per day for every person in the country, may make keeping a watchful eye on each and every driver and their vehicle seem like an impossible task. However, operators are obliged to keep the public safe and must have the right tools at their disposal to ensure driver behaviour does not put passengers in danger. Thanks to intelligent monitoring solutions such as MRM, however, operators now have access to unparalleled levels of visibility through intuitive ‘dashboard’ interfaces, which presents all the key safety and performance indicators of a fleet in one place. This allows operators to allocate resources for improving safety in a targeted manner, and helps mitigate the potential for breaches of health and safety regulations in the public sector.